Anish Giri scored 8/10 on top board as his team Bischwiller steamrollered their way to the Top 12 French Team Championship with a perfect 11 wins in 11 matches. Favourites and winners for the last three years Clichy kept up the pressure, but couldn’t recover from their Round 6 loss to the new champions. 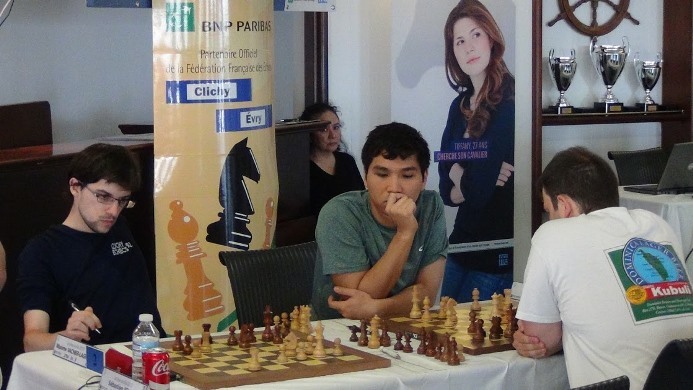 The final two rounds were notable for some shock results, with Wesley So falling to a Sergey Fedorchuk counterattack and Arkadij Naiditsch ending a disastrous tournament with a loss to Marie Sebag. Bischwiller had the 2015 French title done and dusted when they beat Strasbourg 4.5:3.5 in the penultimate round, with wins for Romain Edouard and a 7th win of the event for Anish Giri sealing the match. White is busted, and France’s top female player Marie Sebag (2483) went on to win comfortably. 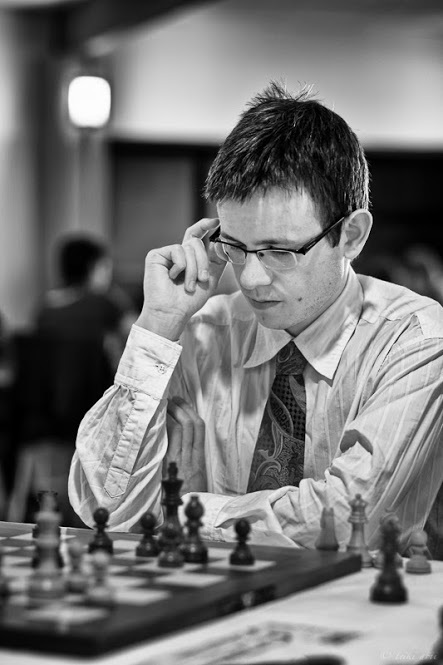 Naiditsch dropped 31.9 points and 25 ranking places to 2690.1, only winning his very first game in the French League. Clichy scored another easy win, but Wesley So’s previously smooth performance in Le Grau-du-Roi (5 wins, 4 draws) came to a shuddering halt against Sergey Fedorchuk. Not the kind of thing you see happening to a Top 10 player all that often! Wesley So’s next engagement is to play a 4-game match against David Navara in Prague this weekend. In a fascinating game Navara has allowed French IM Adrien Demuth’s bishops to run rampage. With mate-in-1 threatened Navara had nothing better than 35…Rxg8, but White’s extra piece was soon decisive. Navara had also lost to an in-form Michal Krasenkow in the previous round. Krasenkow, who used to be the Polish no. 1, then went on to inflict the only defeat of the event on Poland’s great future hope, 17-year-old Jan-Krzysztof Duda. French IM Paul Velten didn’t make that mistake, sticking to Black for all 11 games (! ), even after he’d scored his first GM norm after 9 rounds. He ended up with 4 wins and 7 draws – Black is OK! The final round was something of an anti-climax, with the standings at the top already decided. The closest big encounter was Mulhouse-Clichy, where a quirk of the pairings saw Navara and So warm up for their match with a 27-move draw by repetition. 32.Qxe5! was game over, but wins on the bottom three boards saw Clichy nevertheless score their tenth win in 11 matches. See our 2015 Chess Calendar for full details.